With a background in product design and craftsmanship, Frederik Kurzweg created The Brick Chair – a witty and smart object made of old bricks. Trained as a cabinet maker at a traditional company near Münster, Germany, Kurzweg was first noticed and awarded for making a handcrafted journeyman’s piece. Motivated by this early success, he started studying industrial design at the University of Applied Sciences in Magdeburg, where he expanded his professional knowledge about different material properties and technical design processes. 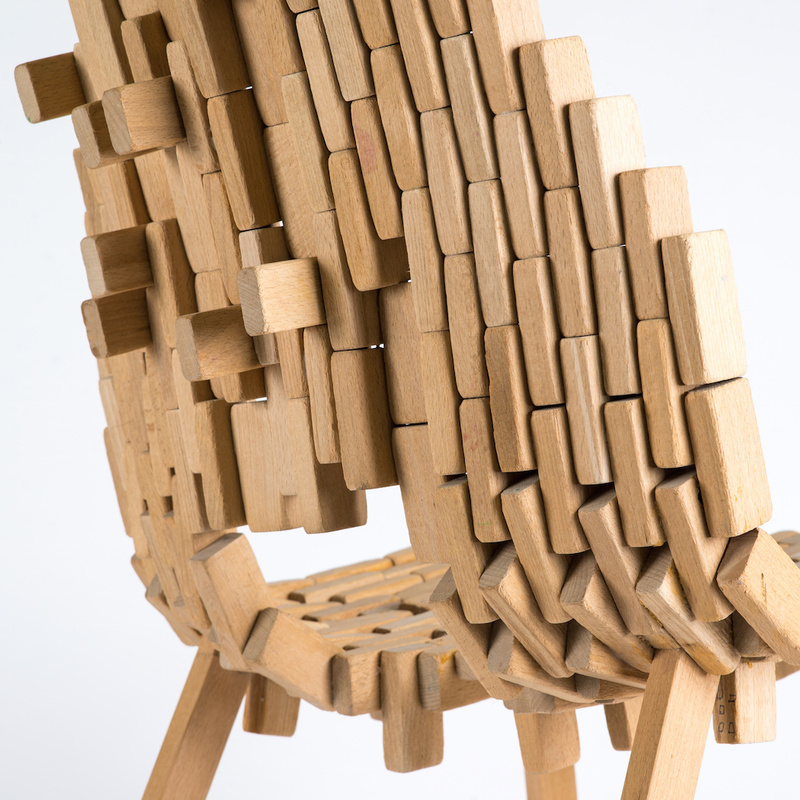 With its playful form and ephemeral look, ‘The Brick Chair’ looks like it is just about to fall apart in pieces. But this lightness might be misleading – in fact, the chair is very solid thanks to the usage of 253 old bricks that were saved from the oven. Using the old material, Kurzweg gave the forgotten material a new life, creating a unique and modern piece.